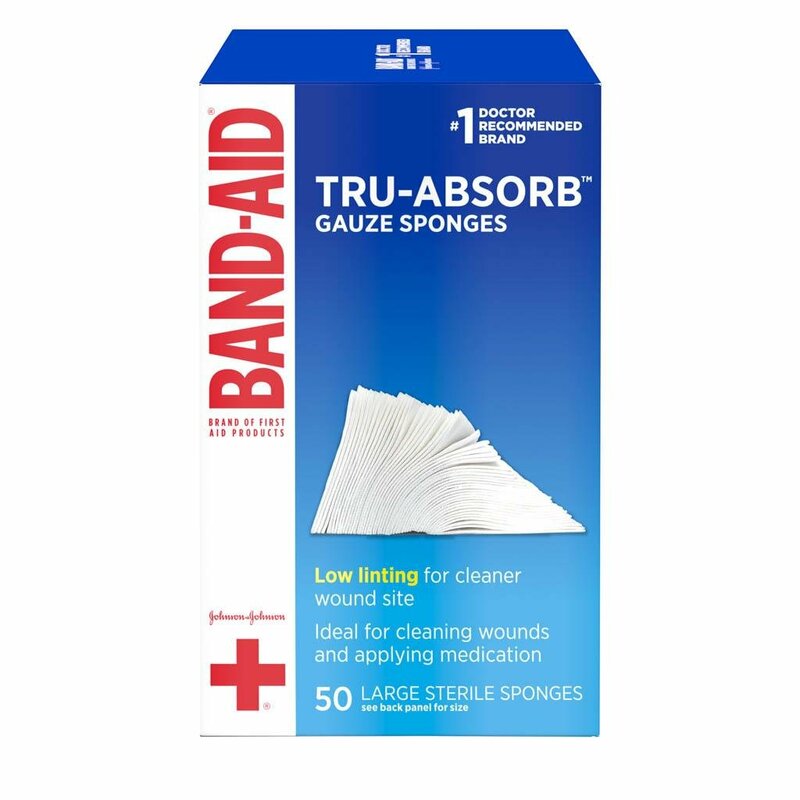 Delicately care for wounds with BAND-AID® Brand of First Aid Products TRU-ABSORB™ Sterile Gauze Sponges. 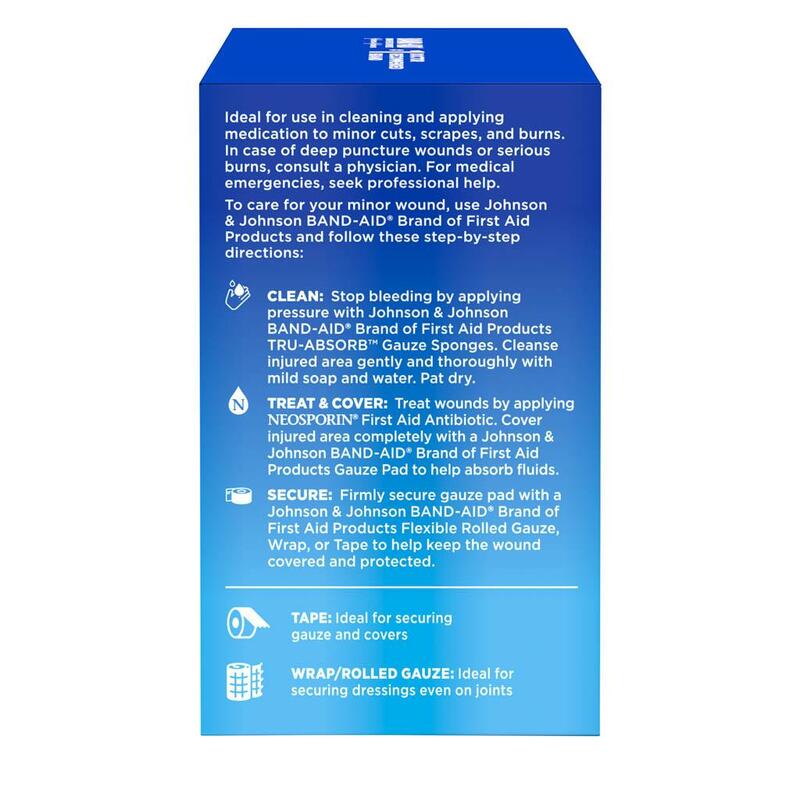 Ideal for cleaning and applying medication to minor cuts, scrapes and burns. Their special low-linting design helps provide cleaner wounds and may help prevent irritation. 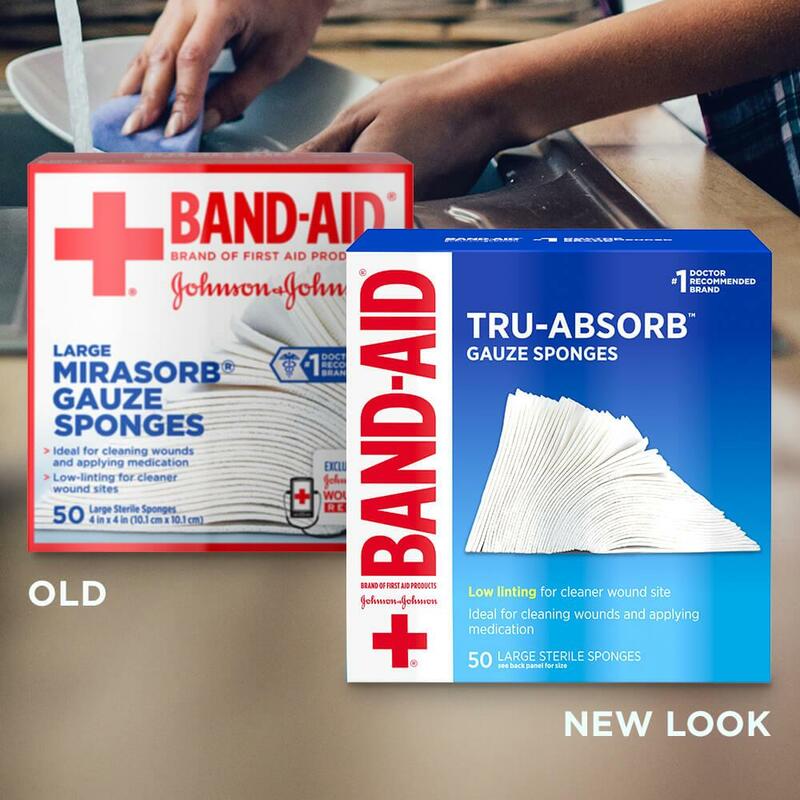 Their cushioning offers extra comfort when cleaning dirt and contaminants from the injured area. 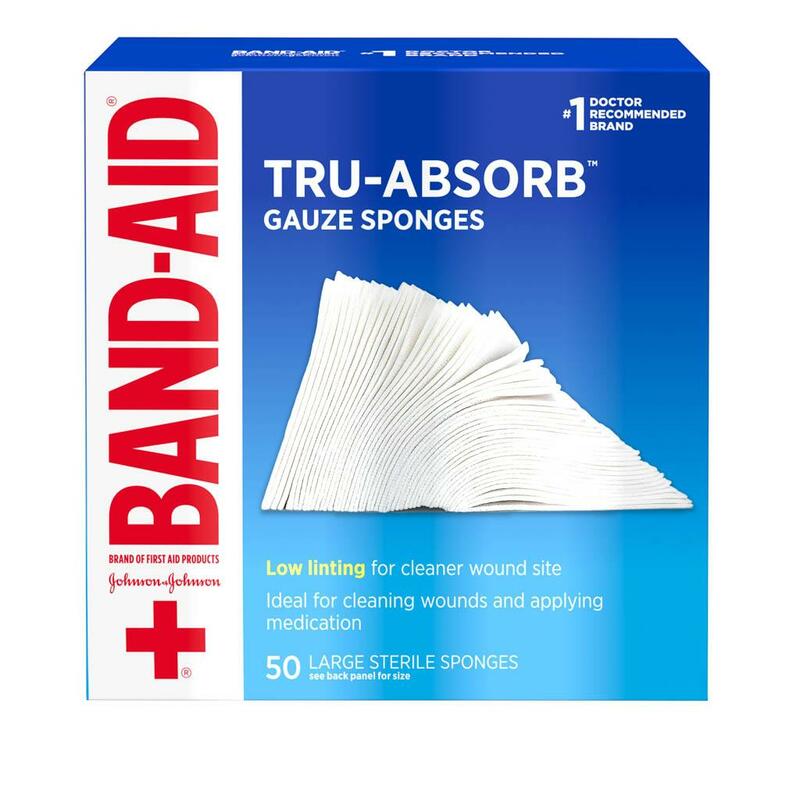 Use these first aid gauze sponges for cleaning and prepping wounds, or for applying medication. Each sterile pad measures 4 by 4 inches. 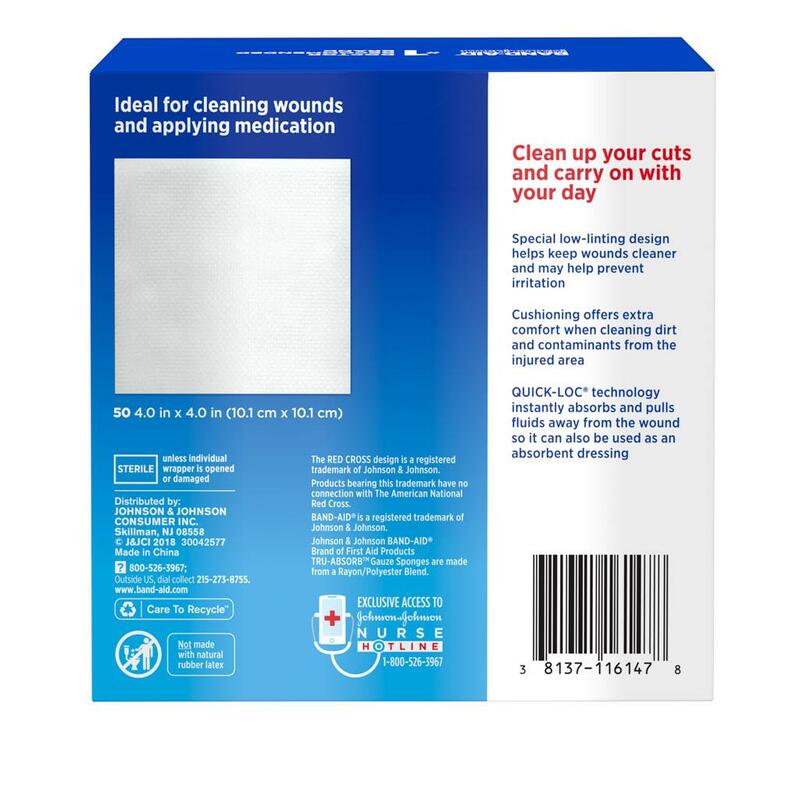 This package contains 50 individually wrapped sterile gauze sponges.